Few criminal justice jobs bring you closer to the action than becoming a police officer. Police officers work to protect a community and its citizens. Officers not only enforce laws; they also participate in crime prevention programs. They patrol the streets, respond to situations, issues tickets or citations, and develop relationships with community leaders. There are different types of police officers. A beat officer is assigned to a particular neighborhood and primarily responds to situations occurring in that area. There are also traffic officers, SWAT, crime prevention officers, bomb squad officers. Officers often work in pairs as a safety measure. Their partner may be human or canine, depending on their job responsibilities. A police officer responds to a wide range of issues from small property crime to murders. This work can be extremely dangerous. When criminals are cornered, they become desperate and will do anything in order to get away. Officers must be vigilant and aware of their surroundings at all times. It only takes a second for a situation to get out of hand and become dangerous. Officers must have a thorough understanding of the law. Forgetting to read a suspect his rights or not tagging evidence correctly can throw out the entire case against the suspect. This job also requires excellent communication skills. In moments of extreme danger, officers must be able to clearly communicate the situation they are in and request backup. They also need to show tact when dealing with the public. People do not enjoy getting pulled over for speeding and can become downright ugly to an officer. Officers need to have a strategy to deal with this type of behavior. Most officers begin their careers as a uniformed officer, and be given a particular area of town to patrol. These officers develop relationships with individuals in the area to help prevent crime. As community members become more comfortable with an officer, they are more willing to report suspicious behavior in the area. A uniformed officer responds to area 911 calls, resolve disputes, and handle traffic matters. These officers often speak at local schools, presenting crime prevention programs. Some officers decide to spend their entire career as a uniformed officer. They enjoy the relationships they have made in the community and the progress made preventing crime. However, many officers eventually want a new challenge. Police officers may work undercover, infiltrating gangs or other unsavory groups. Undercover assignments can be very difficult. Typically, you will have to hide your assignment from friends and family. In essence, you will be living a double life. Undercover work is not for everyone. Officers may be assigned to the vice squad, choose to apply for SWAT team detail, or focus on busting drug cartels in the area. Eventually, an officer may decide to run for sheriff. A sheriff is basically a management position, overseeing all of the officers in a county. She is in charge of the direction the department takes when fighting crime, decides which prevention programs to put in place, deals with any major personnel issues that crop up, and works with other elected officials. Most counties will hold elections to decide who becomes sheriff. These positions are often very political. The type of education you need depends on the police department you are applying for. All departments will require you to have at least a high school diploma or pass the GED. Many candidates distinguish themselves by earning a certification or associate's degree in criminal justice. Bachelor's degrees are not required, but can help you significantly boost your chances of being hired. Education will help solidify your status as a serious candidate. Police departments make their recruits successfully complete academy training before they can start patrolling unsupervised. Recruits will be given training on local, state, and federal laws that need to be enforced. A mix of classroom and supervised training teaches recruits about traffic control, spotting suspicious behavior, proper firearm procedures, report writing, and emergency procedures. A recruit's physical fitness may also be tested. Not all recruits succeed. Whether or not a recruit is given a second chance to pass the classes depends on the department. Training can last up to 14 weeks. The majority of police officer jobs are found in local police departments. However, state agencies like the Highway Patrol also hire officers. The Bureau of Labor Statistics estimates that job growth for officers is good and should increase 10% over the next decade. An officer's salary depends on his level of experience and the location of his job. If you work in a large city, you can expect to earn a higher salary than someone who works in a small town. More experience will also lead to higher pay. 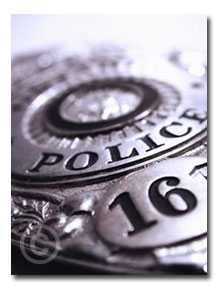 The Bureau of Labor Statistics estimates that a police officer's average salary is $55,180. Most police officers are members of a union. These unions often negotiate generous pension plans that allow officers to retire with 20 to 30 years of service, while still receiving a portion of their pay.